Jameela Jamil is definitely one of my favourite fashion icons EVER I know that's a big statement but this woman is a goddess. 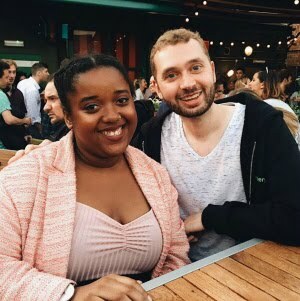 I am actually lucky enough to have met her a few times in Camden when I went to the recordings of Channel 4's KOKO Pop which she is the host of. 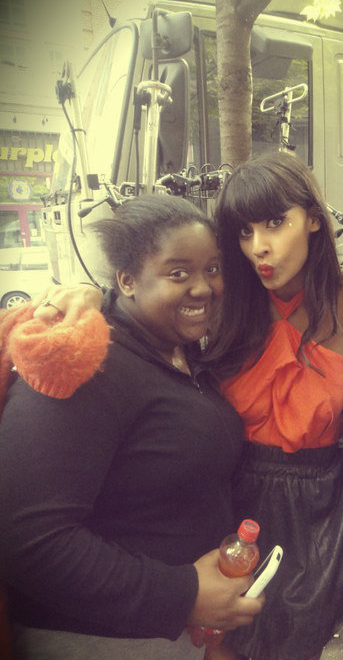 I'll just say now I look an actual state compared to Jameela, hair everywhere but I'm not too bothered because she is absolutely great and as you can tell by my face I was super ecstatic to meet her. Awww, she is such a total babe!